I designed this to be the perfect size for a buggy or a car seat. I found that when I had my little man, it was hard to find blankets that were the right size (they were all too big) and any blanket had to be folded over a number of times (thus making it thicker and hotter). As little man was a winter baby (born when the roads were covered in snow! 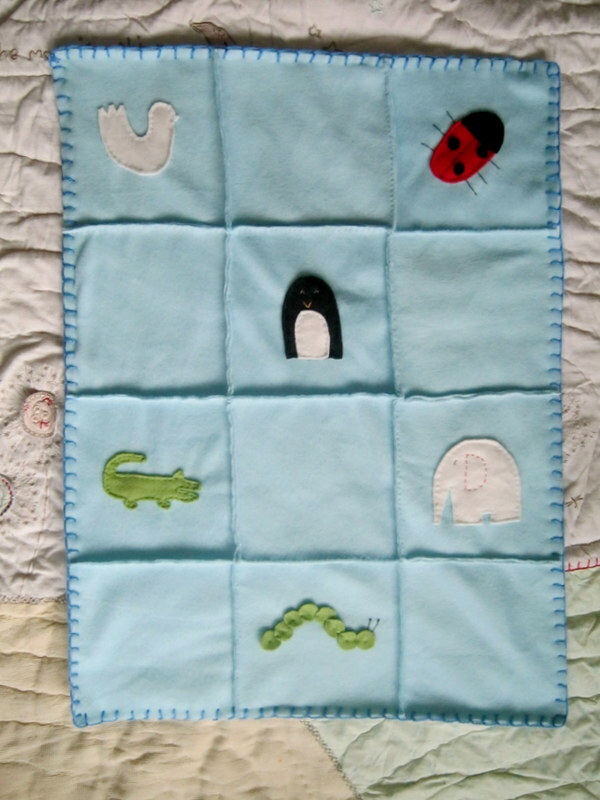 ), I found the buggy blanket I made, really useful, so now I try and make them for friends. I there are there already a few on this blog and over the next few months, there will be more! This time I decided to sew one (recently I have been knitting them). I think if I do it again, I will make the animals bigger. Still, I enjoyed the learning experience. I made 12 squares out of fleece and on 6 of them, appliquéd animal designs. 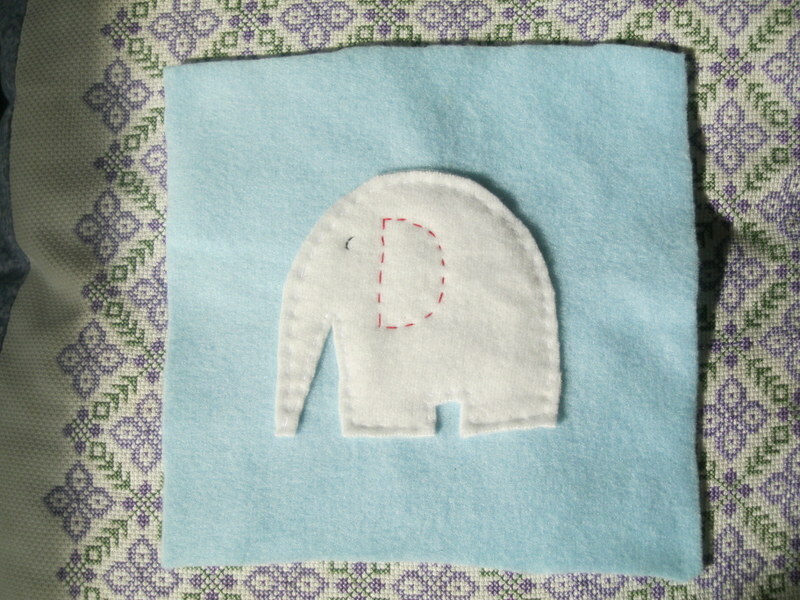 Here’s a close up of the elephant. 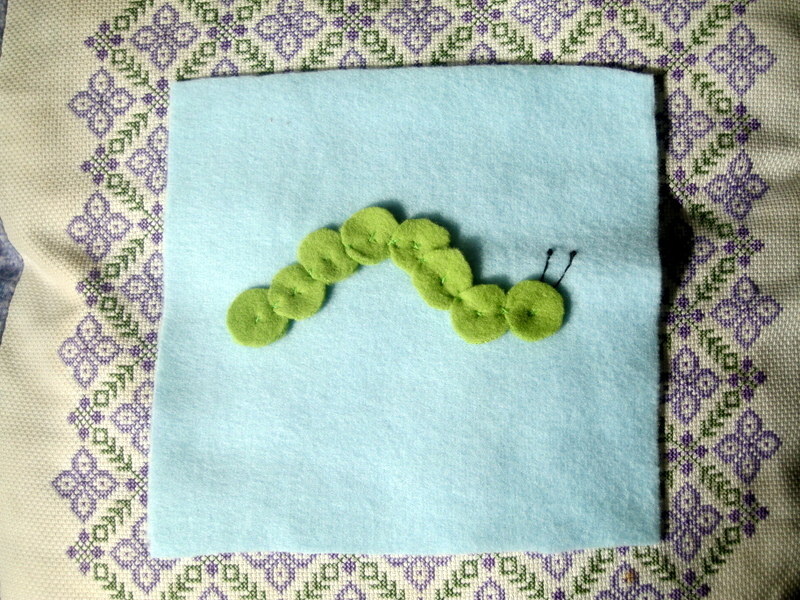 And a close up of my caterpillar. Over the next few blog posts, I’ll walk you through how I made it. I’d say that it is a beginners project really as it was really every easy but fun to make.